India`s women cricket team once again made history.This time Indian player Harmanpreet Kaur made 171 runs in just 115 balls against Australia. Harmanpreet Kaur is right-hand batsmen and baller. 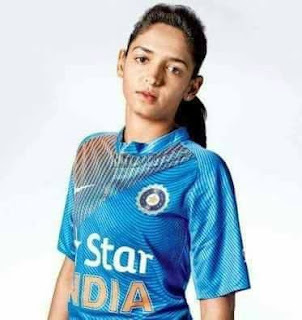 She is all rounder in Indian women cricket team. She lives and swears by her idol Virender Sehwag's mantra of 'see ball, hit ball'.